Oh I love these 2 LO's...they are my faves...that bling on missy's one is soooo gorgeous. Im so glad someone found a use for it. Sounds like you had a wonderful time on your retreat. Loving your layouts. 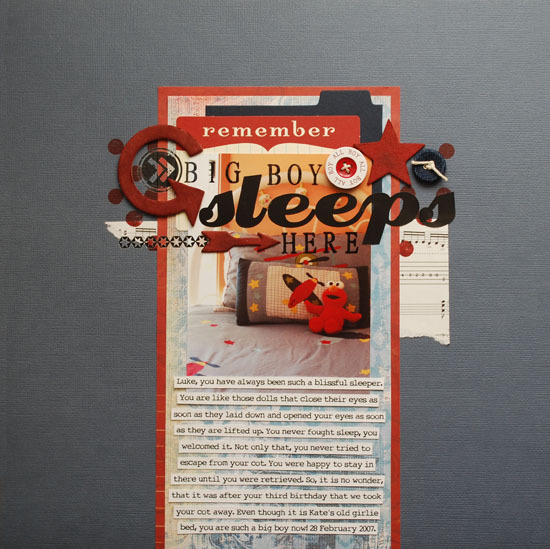 Love these layouts — the journalling really makes the big boy bed one.